Now a truly macho Yo-kai, this one worked tirelessly in a mountain retreat to train away his dullness. Yo-kai Medallium Bio: Now a truly macho Yo-kai, this one worked tirelessly in a mountain retreat to train away his dullness. 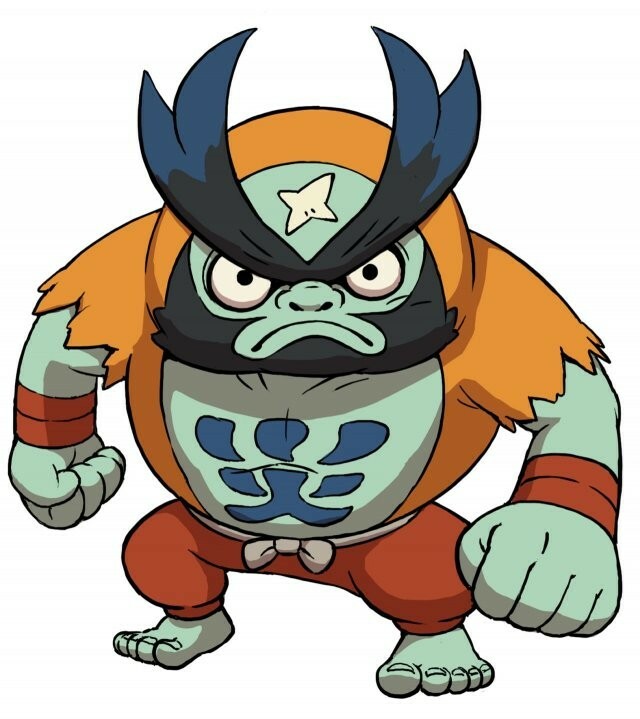 Darumacho is also the French name of the Pokémon Darmanitan, who incidentally has a daruma theme.